White women’s shirt Berlin is as timeless as fashion gets. 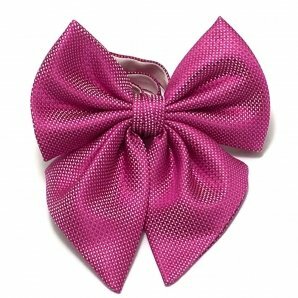 It’s crisp, clean and sophisticated; it provides instant polish whether worn on its own or under a suit or sweater. 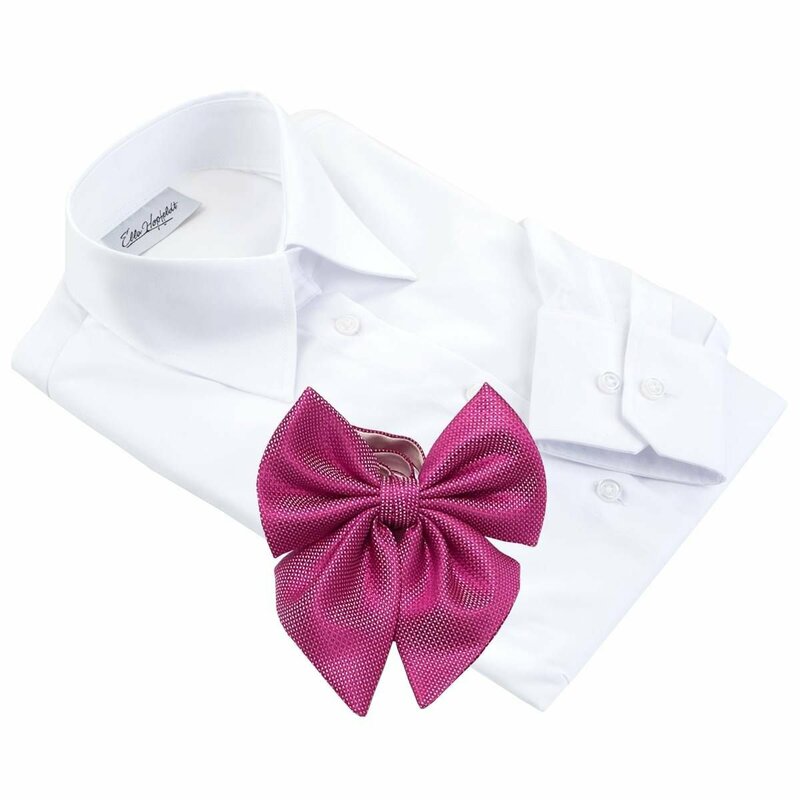 Combine the white shirt with an eye-catching bow tie for a more stylish and original look. 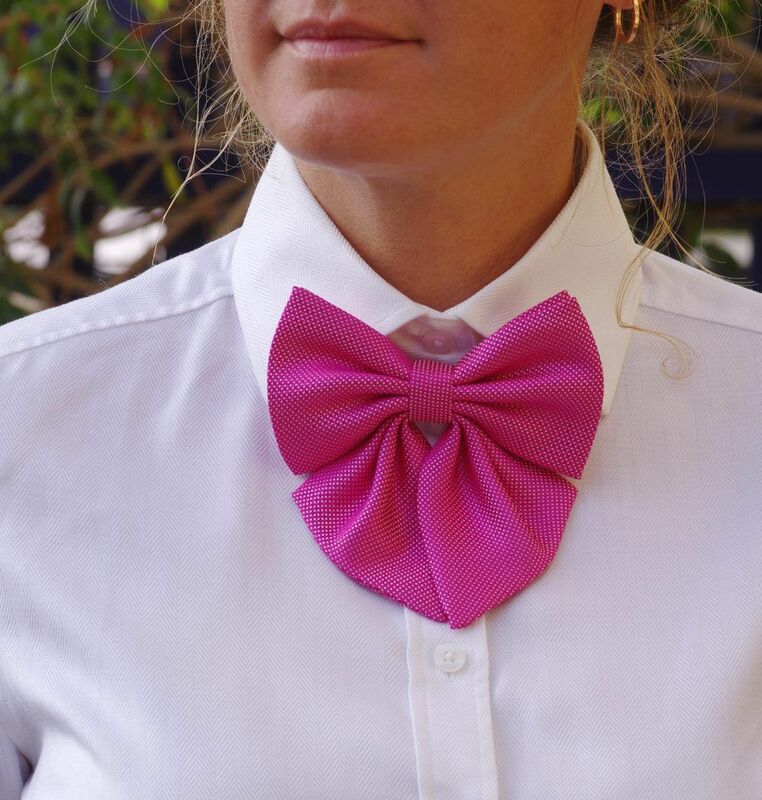 Please add in the comments on the order form whether you would prefer the pink or navy bow-tie with your shirt. Not your fit? 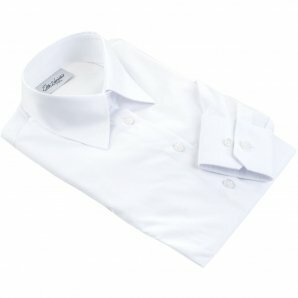 Have a look at Italian fit shirt Palermo.